Bonjour! Now that fashion week in Paris has come to end, I thought I would write an entry about shopping in Paris. 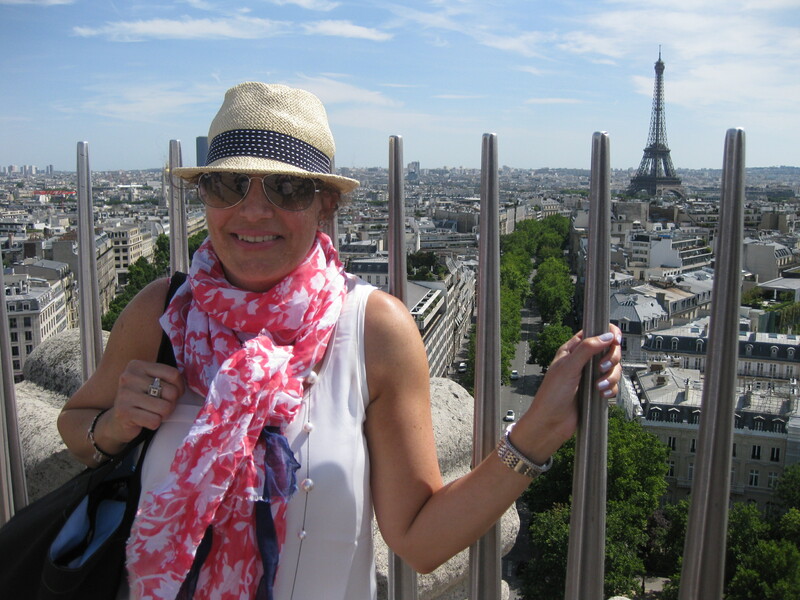 I was able to take a trip to Paris this past July with family members. We had a great time! We did a lot of walking, saw many historical sites and museums, and I did a little shopping. I did a little online research before my trip. Since you can google almost anything these days, I googled what to buy in Paris and where to shop in Paris or shopping in Paris. I also had a tourist guide to the city that had good shopping recommendations. When you google shopping in Paris a list of the department stores will pop up as well as links to tourist websites. If you don’t have a lot of time to shop I recommend planning ahead and identifying the stores you want to visit. Where to shop: The three major department stores are Printemps, Galleries Lafeyette, and Le Bon Marche. I shopped at the first two on the Blvd Haussmann. Printemps felt a little more upscale then Galleries but both had a huge selection of merchandise. Galleries Lafeyette has a grocery store/food section where I tried my first macaroon. It is a fun area with lots of chocolate treats! The macaroon was delicious! There are lots of souvenir stands outside of Galleries but this area was very crowded when I was shopping. For cheap souvenirs I would recommend shopping in a different area. I bought most of my souvenirs at the gift shops in the museums. There is also a chain store called La Vaissellerie that has some fun souvenirs and kitchen tools. There are five locations, including one on Blvd Haussmann. During my research I found an article about a bag that is only available in Paris. 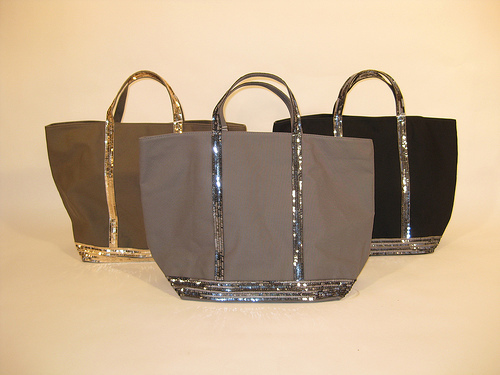 It is canvas with sequins detail on the straps that run down the bag. The designer is Vanessa Bruno. Her bags are available at all of the department stores in Paris and she also has a few stores located in Paris. I bought a grey bag at the 12 Rue de Castiglione location. I had looked at the bags earlier in the two department stores. I love this bag! It is a good purchase if you are looking for a unique Paris souvenir. In conclusion, if you are a serious shopper and want to make the most of your shopping experience in Paris do your research before going. Summertime in Paris is filled with tourists; if you are traveling in the summer, prepare to fight some crowds while sightseeing and shopping. Also, be very careful with your cell phone mine was almost stolen when I set it down on a table in a café!